Reebok Girls' Hoodie Just $14.99! Down From $38! Shipped! 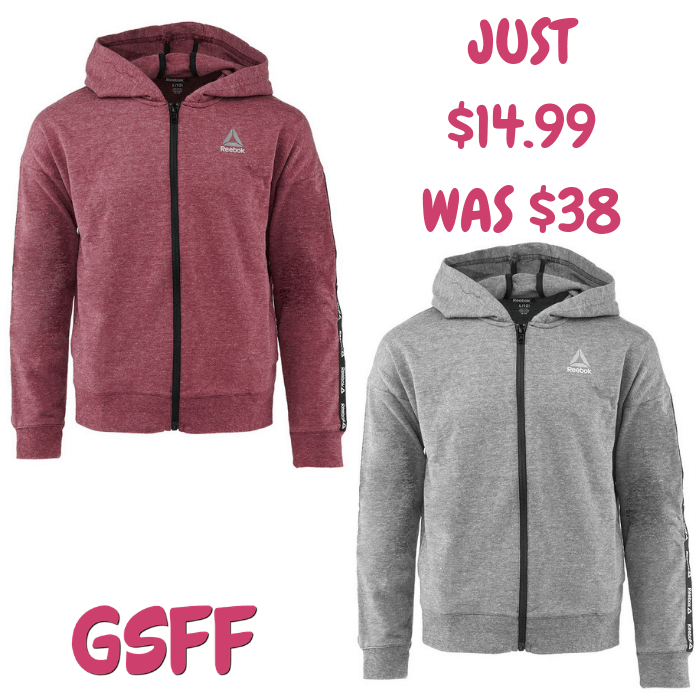 You are here: Home / Great Deals / Reebok Girls’ Hoodie Just $14.99! Down From $38! Shipped! Reebok Girls’ Hoodie Just $14.99! Down From $38! Shipped! Until January 4 only! Proozy is offering this Reebok Girls’ Full Zip Hoodie for just $14.99 down from $38 PLUS FREE shipping! Keep the girls cozy and warm in a Reebok Active Full Zip Hoodie. With its soft cotton/polyester blend, durable front zip and two nifty pockets, this hoodie is a keeper. Available in different colors!